The GeForce GTX 680 was Nvidia’s first 28nm part featuring 1536 CUDA cores, 128 texture units and 32 ROP units. It's remained since release Nvidia's fastest single GPU graphics card of the series, second only to the dual-GPU GTX 690 which features a pair of GK104 GPUs. And so for the last 12+ months the GTX 680 and the Radeon HD 7970 have been battling over the performance crown, forcing numerous price cuts and even a little overclocking from AMD to produce the 7970 GHz Edition. In the end AMD was able to undercut Nvidia on price, producing what we believe to be the better solution. Most recently however Nvidia showed what they could really do with the GK104 architecture by beefing it up with more CUDA cores, texture units and ROPs creating the GK110. The GeForce GTX Titan is a monster that belongs to an entirely different league, crushing the GeForce GTX 680 as well as the Radeon HD 7970 GHz each and every way possible. Real-world gaming tests saw the GTX Titan outpace the GTX 680 by a 42% margin and the Radeon HD 7970 GHz Edition by a 30% margin. In the past we've seen performance jumps of 20 to 25% from one generation to the next, so these numbers are indeed something special. But of course, with a $1,000 price tag it's comparing apples and oranges. If anything, the Titan did show how much more complex and powerful Nvidia could make the current generation 28nm GPU without putting the TDP rating through the roof. It also meant that Nvidia could move to the next generation mainstream GPUs without having to completely redesign their architecture for the GeForce 700 series and that is exactly what they have done. The new GeForce GTX 780 is based on a similar, albeit slightly cut down version of the Titan GPU, managing to keep many of the features that make the $1,000 graphics card great, such as the 384-bit memory bus. The GeForce GTX 780 reference board measures 10.5” (26.7cm) length. Display outputs include two dual-link DVIs, one HDMI and one DisplayPort connector. 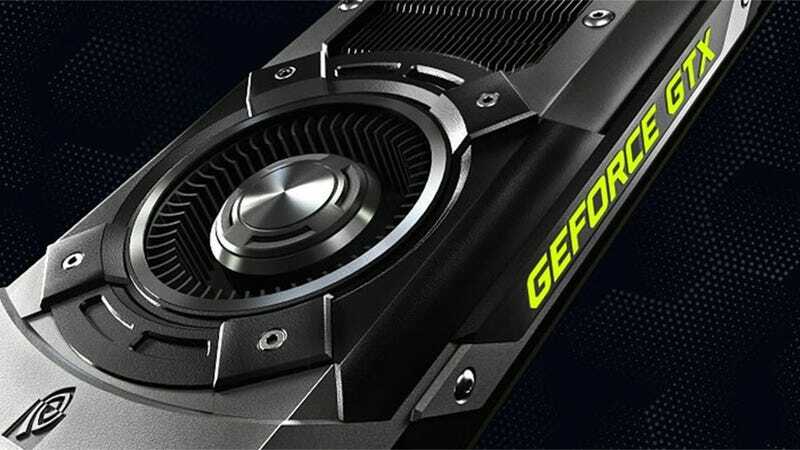 With 2304 CUDA cores at its disposal, the GeForce GTX 780 features 50% more CUDA cores than the GeForce GTX 680. The GTX 780 also gets a 3GB memory buffer standard which is 50% more than the GTX 680. Helping to take advantage of the extra memory are six 64-bit memory controllers for a 384-bit wide memory bus. Paired with a 6008Mhz GDDR5 memory clock, it provides up to 288.4GB/sec of peak memory bandwidth to the GPU. Those specs mean that those still rocking a GeForce GTX 580 should be looking at around a 70% performance improvement when upgrading to the GTX 780. It’s not just GTX 580 owners that can expect a decent performance upgrade as owners of last year’s GTX 680 will still receive around 30 - 40% more performance, at least on paper. The 12 SMX units providing 2304 CUDA cores are clocked at 863MHz though using Boost 2.0 they can be clocked up to 900MHz in certain scenarios. The second generation GPU Boost technology works in the background, dynamically adjusting the GPU’s graphics clock speed based on operating conditions. Originally GPU Boost was designed to push the GPU to the highest possible clock speed while remaining within a predefined power envelope. However Nvidia’s engineers found that the GPU temperature usually limits performance first. Therefore with Boost 2.0 they have changed the way the technology works boosting clock speeds according to the GPU temperature rather than power target. The new target in question for the GTX 780 is 80 degrees Celsius. In other words, the GTX 780 will automatically boost to the highest clock frequency it can achieve as long as the GPU temperature remains at 80C. Boost 2.0 constantly monitors GPU temperature, adjusting the GPU’s clock and its voltage on-the-fly to maintain this temperature. Nvidia has borrowed the design of the GTX Titan for the GTX 780 which is great news as the Titan not only looked imposing but it was also whisper quiet. Many other recent high-end GPUs like the GTX 780 make use of vapor chamber cooling, which consists of a copper vapor chamber that extracts heat from the processor using an evaporation process similar to a heatpipe, but more powerful. Helping to improve efficiency here is a new thermal material designed by a company called Shin-Etsu, which is said to provide twice the performance of the grease used on the GTX 680. Additionally, Nvidia has included an extra heatsink behind the 80mm blower-style fan that increases the cooling area. There is also an aluminum baseplate, which provides additional cooling for the PCB and board components. The guts of the cooling operation are covered in a case that encloses the top of the card. Given the high-end nature of this board, Nvidia engineers decided to use an aluminum casing for the cover. At its center is a clear polycarbonate window, allowing you to see the vapor chamber and dual-slot heatsink used to cool the GPU. Another nice touch in our opinion: the side of the card features a large GeForce GTX logo that glows green when the system is turned on. We think this looks cool, but if it's not for you, the LED intensity can be adjusted in software. Beside the logo towards the end of the card is a pair of PCI Express power connectors. The configuration is the same as the GTX Titan meaning you will find a single 8-pin along with a 6-pin connector. The GTX 780 has been given a TDP rating of 250 watts, which is 28% greater than the GTX 680, so Nvidia recommends using a 600W power supply. The board features a 6+2 power phase design that Nvidia says feeds enough power even when overclocking. Six phases are dedicated to the GPU while two are for the GDDR5 memory. Reporting average fps (frames per second) using Fraps is how things have been done for... well, forever. It's a fantastic metric in the sense that it's easy to record and easy to understand. But it doesn't tell the whole story, asThe Tech Report and others have shown. To get a fuller picture, it's increasingly apparent that you need to factor in a card's frame latency, which looks at how quickly each frame is delivered. Regardless of how many frames a graphics card produces on average in 60 seconds, if it can't deliver them all at roughly the same speed, you might see more brief jittery points with one GPU over another — something we've witnessed but didn't fully understand. We'll be using the latency-focused 99th percentile metric, which looks at 99% of results recorded within X milliseconds, and the lower that number is, the faster and smoother the performance is overall. By removing 1% of the most extreme results, it's possible to filter anomalies that might have been caused by other components. Again, kudos to The Tech Report and other sites like PCPer for shining a light on this issue. The GeForce GTX 780 averaged 62.4fps in Battlefield 3 at 2560x1600, making it 20% faster than the Radeon HD 7970 GHz Edition and 29% faster than the GTX 680. When compared to the dual-GPU GTX 690, the GTX 780 was 32% slower and just 8% slower than the GTX Titan. The GeForce GTX 780 slipped further behind the GTX Titan when measuring frame time performance — it was 14% slower to be precise. Still, when compared to the Radeon HD 7970 GHz Edition the GTX 780 was 17% faster, as it was 22% faster than the GTX 680. The GeForce GTX 780 spat out 29.1fps in Crysis 3 at 2560x1600, just 2fps slower than the GTX Titan but also just 1fps faster than the GTX 680. Nevertheless, it was 31% faster than the Radeon HD 7970 GHz Edition. When measuring frame time performance in Crysis 3, the GeForce GTX 780 was 15% slower than the GTX Titan but 12% faster than the GTX 680. It was also 17% faster than the Radeon HD 7970 GHz Edition card.